Irena Szewińska is one of the world’s most multi-talented athletes of all time. A winner of seven medals (three of them gold), Szewińska has participated in FIVE Olympic games, has broken 10 world records, and is the only athlete, male or female, to have held a world record in the 100m, 200m, *and* the 400m events. Irena Szewińska, née Irena Kirszenstein, was born on May 23, 1946 in Leningrad, USSR, to Polish parents who were forced to emigrate as a result of the Nazi invasion. After the end of World War II, her family moved to Warsaw, Poland, where she spent the remainder of her childhood. By the age of 14, Irena started to show the makings of an exceptional athlete. At the age of 18, she participated in the 1964 Tokyo Olympic games, where she showed her versatility by winning a gold medal as a member of Poland’s world-record setting 4x100m relay team, a silver medal in the 200m sprint, and another silver medal in the long jump. Following the games, Irena began studying Economics at the University of Warsaw and became a verifiable superstar. She was described by admirers as a “long-legged maiden with raven-colored hair” who ran with the “grace of a gazelle and the speed of the wind.” She didn’t disappoint, and during the 1966 European Championships in Budapest, went on to win three gold medals in long jump, 200m sprint, and the 4x100m relay, and a silver in the 100m sprint. In 1967, Irena married Janusz Szewiński, a sports photographer, and went on to compete in the 1968 Olympic games in Mexico City. She failed to qualify for the finals in the long jump, but went on to win a gold in the 200m sprint and a bronze in the 100m sprint. By the late 1960′s, Irena’s career slowed down considerably. The birth of her first son in 1970 and a severe ankle injury kept her from training for a year. Still, Irena managed to recover in time to participate in the 1972 Munich Olympics, where she took the bronze in the 200m sprint – a relative disappointment in comparison to her previous victories. However, in 1973, Irena decided to focus her efforts on a new event – the 400m sprint. Within the following year, she not only became the first woman to run 400 meters in less than 50 seconds, but between the 1974 and 1978 European Championships, she won 34 consecutive 400m finals. Unsurprisingly, she also went on to win the 400m gold at the 1976 Montreal Olympics in another world-record finish. 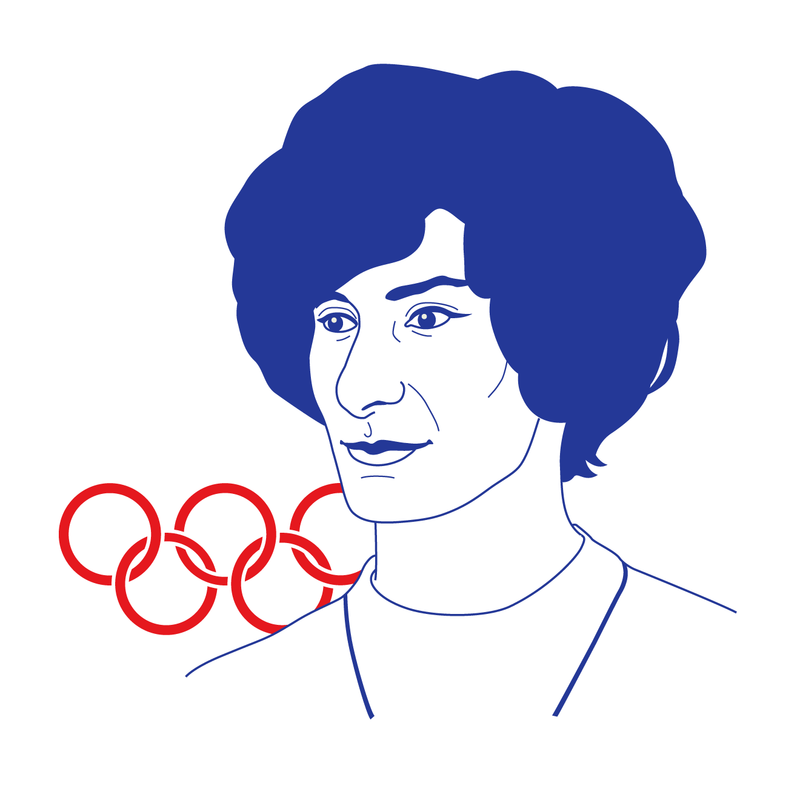 Irena’s final Olympic appearance was at the 1980 Moscow games, where after finishing third in her preliminary heat, she suffered an injury that prevented her from competing past the semifinals. Following her fifth Olympic games in Moscow, Irena Szewińska retired from international competition. She currently serves on the International Olympic Committee and the Women’s Committee of The International Amateur Athletic Federation. And just because we can, check out some of her awesomely, awesome, awesomeness here. (She’s the one in wearing all white).